马. . Wallpaper and background images in the 美图 club tagged: photo horses fog forest beautiful. Beautiful picture!! 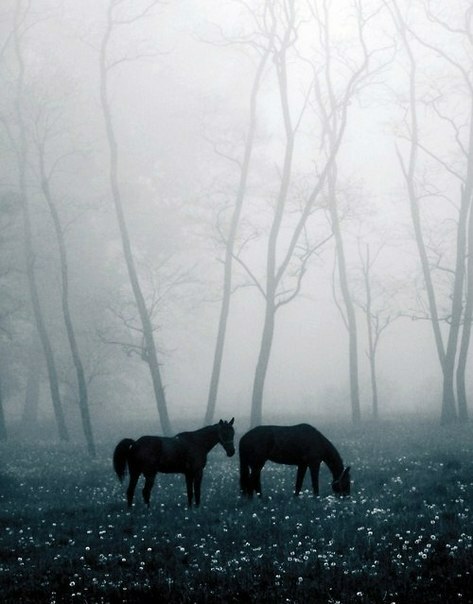 I ♥ horses :).